Is your doggie ready for a winter wonderland? CBD Dog Health discusses tips for keeping your pup safe and healthy in cold weather. CBD Dog Health offers high-quality hemp and CBD products for dogs. CBD oil for pets benefits include: improving mood, easing aches and pains, and relieving anxiety. When the weather turns chilly, dog owners have to start thinking of ways to keep their pets safe, comfortable, and happy. Here are a few tips for making sure your dog enjoys the winter season. During the summer, you probably keep your dog’s bed in the spot with the best cool air circulation. (Or your dog just found it on her own!) When the weather turns chilly, move her spot to a corner that is more insulated from cooler breezes. Snow can accumulate between your dog’s toes more easily when fur between her toe pads gets long. Have your vet or an experienced groomer trim the fur on her feet when it gets frosty. Also, make sure you warm and dry your dog’s feet when she comes in from the snow. (A hair dryer on a warm – not hot – setting is a great tool for making sure her tootsies are toasty.) 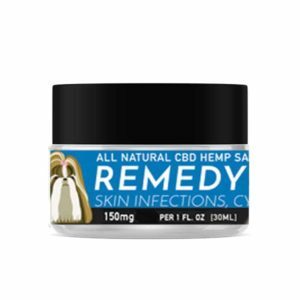 If her feet become dry and chapped from the cold, try our NOURISH hemp CBD salve to keep her skin feeling soft and smooth. A warm pet sweater is essential to keeping shorthair dogs insulated in the snow. While we tend to go overboard on the holiday season goodies, your pet shouldn’t be exposed to rich seasonal human food. Many traditional winter holiday foods – citrus, raisins, macadamia nuts, onions, garlic – are toxic to dogs. Some festive, seasonal plants are poisonous when ingested. Poinsettia, mistletoe, and holly plants can cause severe digestive distress and even arrhythmia when consumed. Celebrations can cause anxiety in dogs that aren’t used to boisterous activity. 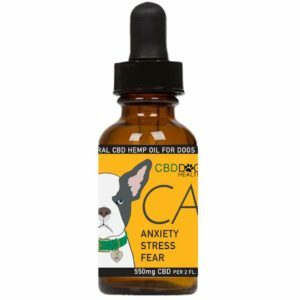 CBD oil for pets benefits include anxiety relief, so if you’re planning a celebration, CBD products such as CBD Calm for dogs may help alleviate stress. CBD Dog Health offers all-natural CBD oil for dogs in treat, tincture, and salve forms. For more information about CBD oil for pets benefits, please visit our home page.